Through the years, Halloween has been one of the most commercialized celebrations worldwide. In the US alone, more than 171 million people are expected to celebrate this year and will spend an estimated total amount of $8.4 billion on costumes, candies, and decorations. People start their spooktacular shopping as early as September, but the rush reaches its peak in the first two weeks of October. Are you thinking it’s too late for your business to do something for Halloween? Take advantage of the hype that comes with this event, even if your business has nothing to do with haunted mansions or creepy costumes. This will work best if you have an existing manufacturer of your product’s packaging. If it’s just paper bag, eco bag, or even a gift wrap that you can get done in time for Halloween, then all you need is the customized design. Get a fangtastic packaging design for your items. You don’t need to organize a huge scarefest for the event. Perhaps the simplest thing you can do is to have your logo, cover photo, or website banner designed with Halloween elements. This is M&M’s UK’s cover image on Twitter. Find a freelancer to do something like this for you. Post a video that will rake likes and shares on your social media channels. One of the noteworthy video marketing statistics for this year says 92 percent of people who consume videos on mobile share what they’ve watched with others. Learn the trick and earn the treat! Connecting the video content to your business is the top priority, but there’s nothing wrong with breaking your own style guide - sometimes. Will you dare come up with a spine-tingling video? Do you want something funny or punny? If you can’t decide, as we often say, help is just a few clicks away. Even if you’re not selling products that are hot in the market this season (candies, costumes, pumpkin, decors), you can still send a newsletter. Do you have new blog posts to promote? Or maybe a promo for the month? As long as it’s something valuable for your customers, you have all the reason to send out a newsletter. 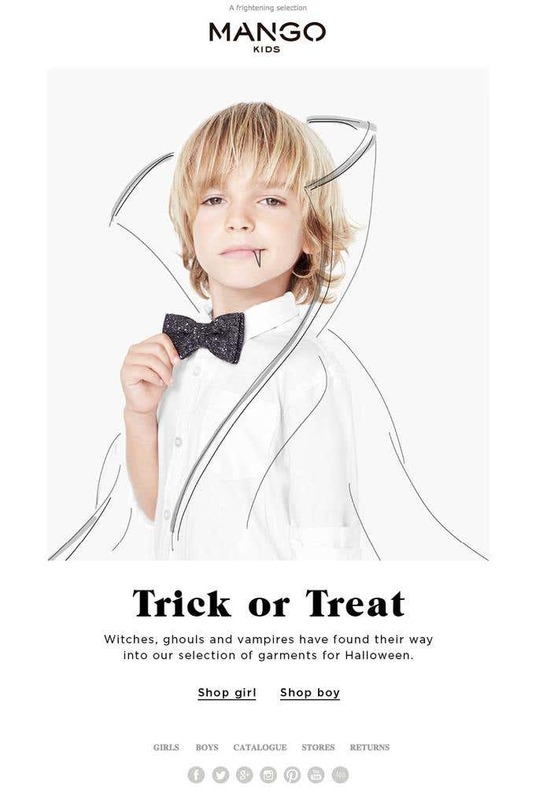 See this Halloween newsletter from Mango Kids. Inject the holiday vibe as effortlessly as you can either on your copy or design. If you need a hand to write the copy or to design the email template for you, post a project now. Perhaps the most effective way to let people learn more about your company is by showing them your culture. Got a Halloween activity with your employees? Document the event and share the photos and videos on your blog or social media accounts. If you’re expecting everyone to participate, better hire a freelance photographer or videographer so nobody has to be torn between working and having fun. 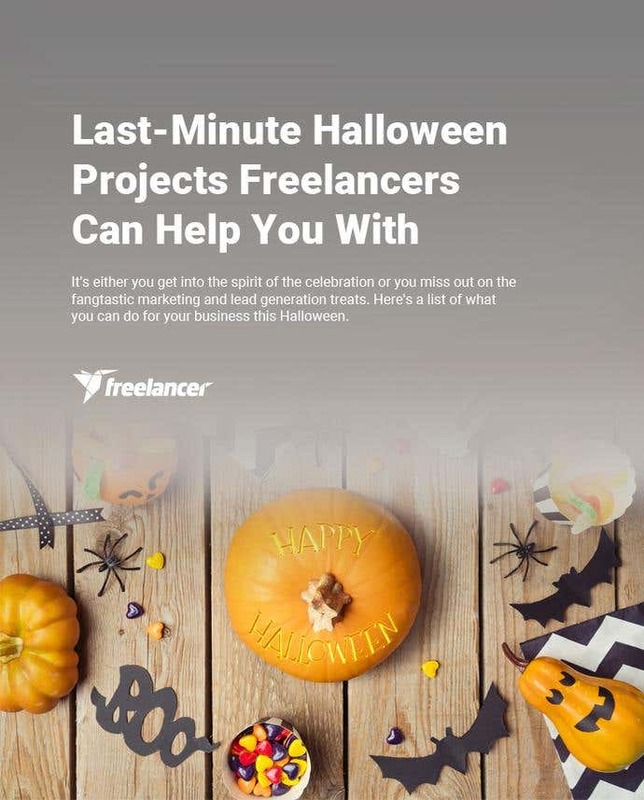 Get into the spirit of Halloween with these last-minute projects you can post on Freelancer. It’s a good chance to engage with your audience and generate more leads. Do something now or else… BOO YAH!